The Naira fell against the United States’ dollar on the interbank market yesterday on strong dollar demand, erasing gains made after central bank took measures to strengthen the currency. The naira closed at N160.80 to the dollar on the interbank market, weaker than the N160.35 it closed at on Friday. 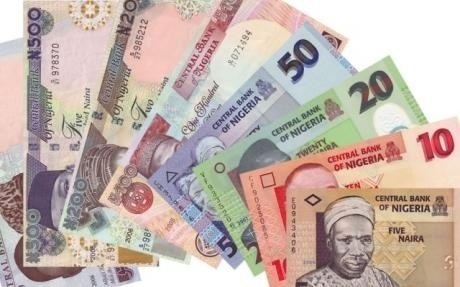 The beleaguered naira received a breather last Wednesday, a day after the central bank took measures to stabilise the weakening local currency, closing at N160.02. The Central Bank of Nigeria (CBN) left its benchmark interest rate on hold at 12 per cent on Tuesday, as expected, but took surprise measures to tighten liquidity. The CBN raised cash reserve requirement for lenders in Africa’s second biggest economy to 12 per cent from eight per cent and reduced net open foreign exchange positions to one per cent from three per cent to support the naira. Traders said strong demand for the greenback coming from importers who are taking advantage of the initial appreciation in the value of the local currency to take positions in the market was responsible for the naira loss. “The central bank measure was short-lived because when the naira appreciated initially, a number of importers rushed to buy the dollar to take advantage of the lower price and this put more pressure on the available dollars in the market,” one dealer said. “We saw some dollar flows from oil companies today, but not enough to support the level of demand in the market,” the dealer said. Traders said unit of Royal Dutch Shell and Agip sold over $100 million to some lenders on yesterday, but could not meet demand in the market. On the bi-weekly foreign exchange auction, the central bank sold $200 million at N155.84 to the dollar, compared with $217 million at N155.84 to the dollar last Wednesday. Traders said the naira will continue to hover around the present level with expected further month-end dollar flows from oil companies.